For Big Block Mopars. These Pro series 8740 chromemoly studs from ARP are cold-forged to ensure molecular integrity. 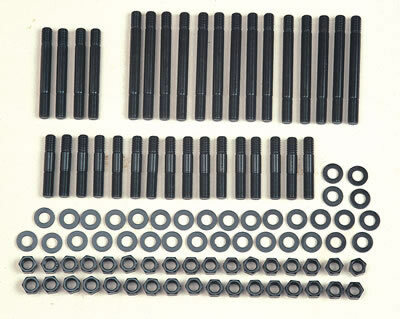 They are heat-treated prior to thread rolling and machining and are rated at 190,000 psi. 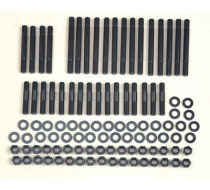 This Pro Black oxide series kit has hex style nuts, and comes complete with hardened parallel washers for an even load distribution and accurate torque readings.